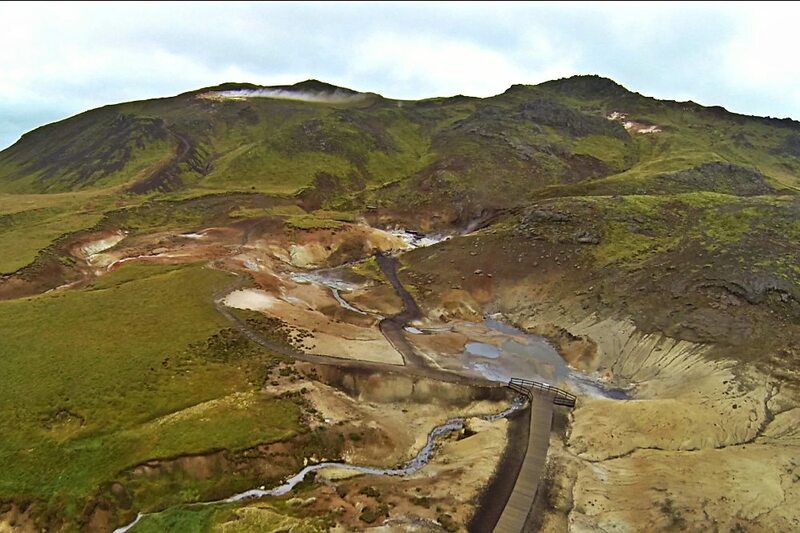 Situated in the Reykjanes Peninsula and part of a nature reserve, Seltún is an important geothermal area. It is a colorful place with many boiling mud, fumaroles and thermal springs, and located only 40 minutes drive from Reykjavík. Seltún is often referred to as being lunar like, almost like walking on the moon. These unique elements in this area are a result of its location being in the middle of the fissure zone on the Mid-Atlantic Ridge that crosses the entire island. This area is alive and untamed, remember to stay on the walking paths when you visit! Seltún is part of our Countless Craters tour.